Measuring innovation in education and understanding how it works is essential to improve the quality of the education sector. Monitoring systematically how pedagogical practices evolve would considerably increase the international education knowledge base. We need to examine whether, and how, practices are changing within classrooms and educational organisations and how students use learning resources. We should know much more about how teachers change their professional development practices, how schools change their ways to relate to parents, and, more generally, to what extent change and innovation are linked to better educational outcomes. This would help policy makers to better target interventions and resources, and get quick feedback on whether reforms do change educational practices as expected. This would enable us to better understand the role of innovation in education. 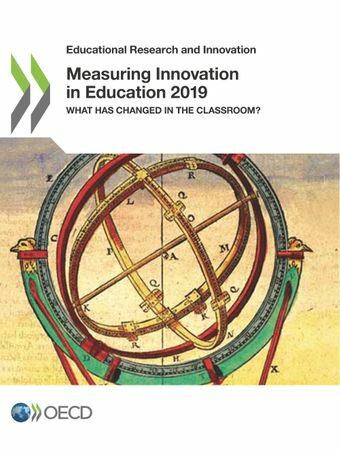 This new edition of Measuring Innovation in Education examines what has (or has not) changed for students over the past decade in OECD education systems. It reviews no fewer than 150 educational practices. The report casts light on systemic innovation in primary and secondary education, with a focus on pedagogical innovation. Has the use of technology spread? Have assessments become more important in pedagogical practices? Are students given more agency in their learning? Are they still asked to memorise facts and procedures? Do teachers increasingly engage students in peer learning activities? These are some of the questions this book seeks to answer. This report also presents some preliminary findings about the links between innovation and educational performance. This book will offer precious insights to policy makers, the education community and all those who seek to understand how educational practices are evolving. The OECD Centre for Educational Research and Innovation (CERI) invites you to a public conference on 28 January 2019 at the OECD Conference Centre in Paris for the launch of its new report Measuring Innovation in Education: What Has Changed in the Classroom? The conference is open to the public, on a first come first serve basis. Registration is mandatory. The event will also be webcast.